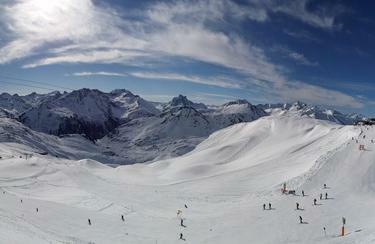 St. Anton am Arlberg - one of the highest-located ski resorts in Austria - small, nice and authentic. The cradle of skiing is known for its alpine beauty and its huge amount of snow. 460 km of pistes and 85 modern lifts are waiting for winter vacationers. Perfectly equipped for your adventures on the slopes in St. Christoph is what you are after a visit to the ski rental of INTERSPORT Rent. In the 14th Century a shepherd built a hospice at St. Christoph - as a shelter against the harsh forces of nature at 1.800 metres above sea level. Today, St. Christoph, in the midst of the spacious ski area Arlberg, consists of some exclusive hotels and cosy inns. 85 modern ski lifts and 460 km of slopes make the Arlberg a top destination for winter holidays in Austria. The crowned heads know that, such as the Spanish Royal Family, who loves to ski at St. Christoph. We recommend that you make an important intermediate stop right the moment you arrive in St. Christoph: Rent proper skis in St. Anton and then go up the Arlberg. 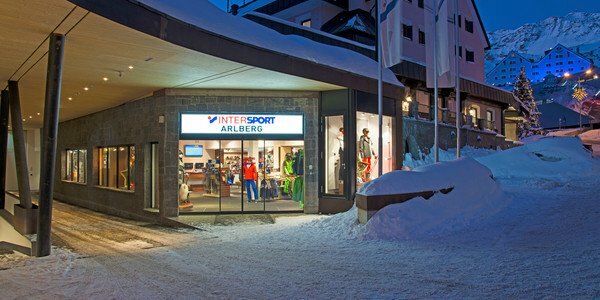 A huge range of winter sports equipment is available and expert advice goes withou saying in the ski rental of INTERSPORT Rent.